The Dutch goat cheese is a semi-hard cheese with a mild flavor and silky texture. Goat cheese is easily digestible and is also a great alternative for people with milk allergy. So, goat cheese is very healthy. The Dutch goat cheese is a semi-hard cheese made from 100% goat milk with a mild, silky taste. Goat cheese is very healthy and easily digestible. It also is a great alternative for people with milk allergy. 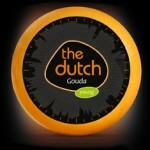 The Dutch goat cheese is a gouda type of cheese. We have selected our own goat farmers. We collect their milk and we produce the semi hard goat cheese in our own factory in Holland. The goats eats a selection of special balanced food. Therefore our goat cheese has a very mild taste. 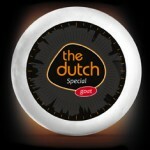 The Dutch goat cheese is vegetarian, because we use natural rennet. Goat cheese contains a lot of proteins. Goat cheese has less lactose and is therefore suitable for people with a cow milk allergy. The Dutch Specialties: The Dutch Cheese and More is about the essence of Dutch cheese. That is a story about recipes and production methods that did not change for ages. Dutch cheese is character, craftsmanship, taste. Sometimes, we go a little crazy and make special cheeses. You can try these very special cheeses, with exciting herbs and spices, or alternative milk varieties. Because that is Dutch cheese: surprising since forever.